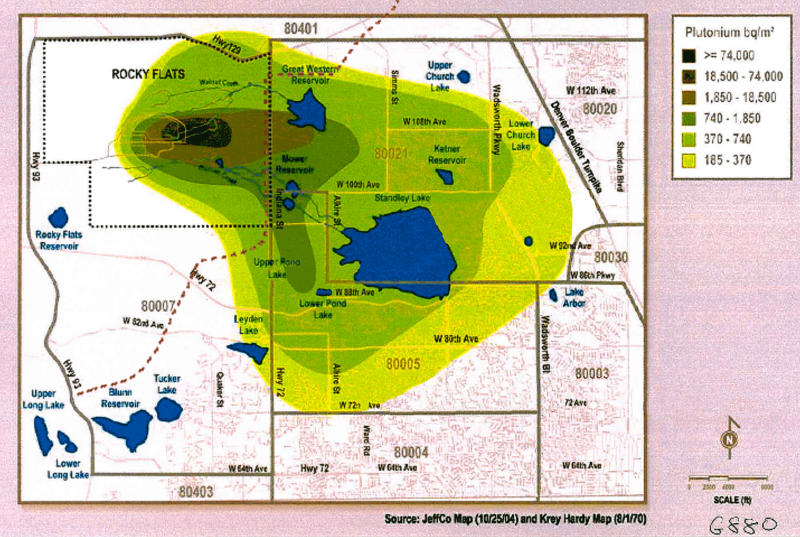 On Tuesday, February 21, 2012, local citizens asked elected officials of the cities most affected to request that EPA and the Colorado Department of Public Health and Environment test airborne dust for its radioactive content in the area at Rocky Flats intended for construction of the Jefferson Parkway. It’s no secret that the Rocky Flats site is still contaminated with highly toxic radioactive materials like plutonium and americium. Some of us concerned that constructing a highway at Rocky Flats would endanger people’s health sent the following letter. 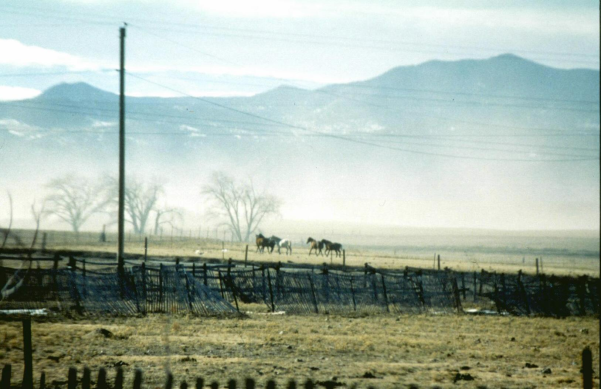 Building the Jefferson Parkway along the contaminated Indiana St. edge of the Rocky Flats National Wildlife Refuge would endanger public health by stirring up clouds of dust laden with plutonium, americium and other radionuclides. Highway construction in the area therefore would stir up clouds of breathable particles of plutonium and other alpha-emitting radionuclides. DOE and EPA state that inhalation is by far the worst way to be exposed to such highly toxic material, since particles that lodge in the body continually irradiate surrounding tissue. The result years later could be cancer and immune suppression, leading to other chronic illnesses. This reality, plus the documented deficiency of historic air sampling at Rocky Flats (see Nichols on Air Sampling and Biggs on Airborne Emissions at http://rmpjc.org/rocky-flats/ ) forced us to consider setting up our own project to sample airborne dust for radionuclide content along Indiana St. adjacent to the Rocky Flats National Wildlife Refuge. This would provide baseline data for airborne dust along the proposed route. But we think private citizens should not have to cover the costs of needed sampling; it is the responsibility of the affected communities to safeguard the health of their populations. EPA and CDPHE’s sampling protocols and procedures will be transparent and will be monitored and approved by independent specialists designated by the authors of this message. CDPHE sampling will be conducted separately by both its Air Pollution Control Division and its Radiological Division. The sampling will begin without delay. EPA and CDPHE will issue bi-weekly reports of their sampling results, providing a baseline for airborne radionuclide-bearing dust in the area. If highway construction begins along the eastern edge of the Wildlife Refuge, sampling by EPA and CDPHE of dust for gross alpha content must occur in this area around the clock with computerized real-time report of gross alpha measurements to be disclosed immediately to the public. Gross alpha measurements are important because both thorium and uranium, also alpha-emitters, are present in this soil and thus pose additional inhalation danger, though less than plutonium or americium. All costs of sampling, analysis, reporting and monitoring are to be borne by the Jefferson Parkway Authority or by some party it designates, such as the U.S. Fish & Wildlife Service. In December 2011 USFWS issued a “Finding of No Significant Impact,” giving itself permission to transfer land to the Jefferson Parkway Authority. Finally, the parties to whom this message is addressed are asked to provide the signatories of this message a definitive yes or no answer to our proposal within 45 days, that is, by April 6, 2012. Thank you for your attention to this proposal. Comments or questions can be addressed in writing to LeRoy Moore at leroymoore@earthlink.net. Jenna Hirsch, Lakewood resident, chemist, Air Pollution Testing, Inc.
Andrew Tirman, Nederland resident & student. Richard D. Andrews, President, Boulder Innovative Technologies, Inc.